In Constitution Day comments, Chief Justice of India T S Thakur today once again expressed his concern over increasing vacancies at various courts, including the vacancy of 500 judges in HCs and urged the Centre to intervene at the earliest in the interest of the judiciary. “What do I tell now on the issue. I have been telling again and again and repeated it various times. 500 Judges posts are vacant in the High Courts. They are not being filled. Presently, there are several vacant court rooms in India, but no judges available. 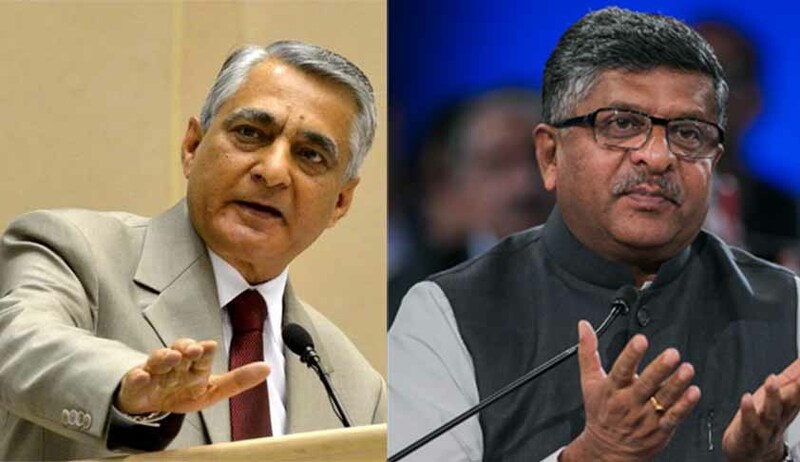 A large number of proposals are still pending and hope the government will intervene to end this crisis,” CJI Thakur said. Law Minister Ravi Shankar Prasad immediately countered the remark and said : “we respectfully disagree with him. This year we made 120 appointments. The second highest. There was 121 in 2013. Since 1990 there had been only 80 appointments. Remember there are 5000 vacancies in lower judiciary. This is an arena where the government has no role. What about that?" Rejecting CJI’s repeated accusations in the Supreme Court that the government was deliberately delaying appointment of judges to the High Courts, the Centre had already hit back with statistics, disclosing that it had appointed 120 HC judges this year, against an annual average of 80 appointments since 1990. Yesterday, Standing by its decision to refer back for reconsideration to supreme court the names of 43 candidates for appointment as judges in high courts, the Centre has said in the parliament that the decision was based on “adverse intelligence reports and serious nature of complaints” against them. "Please do not issue notice now. Kindly post it after vacations by then some positive steps would have been taken", Rohatgi had assured after which the CJI softened down a bit earlier.